Jack Russell (Jacob Russoff) was a Transylvanian-born American kid who inherited the curse of the Werewolf on his eighteenth birthday. His tormented life was the subject of the successful but short lived ‘early seventies’ Marvel comic, Werewolf by Night. The creative team of writer, Gerry Conway and artist, Mike Ploog developed a look and feel that was referred to by fans in the letters pages as "California Gothic". 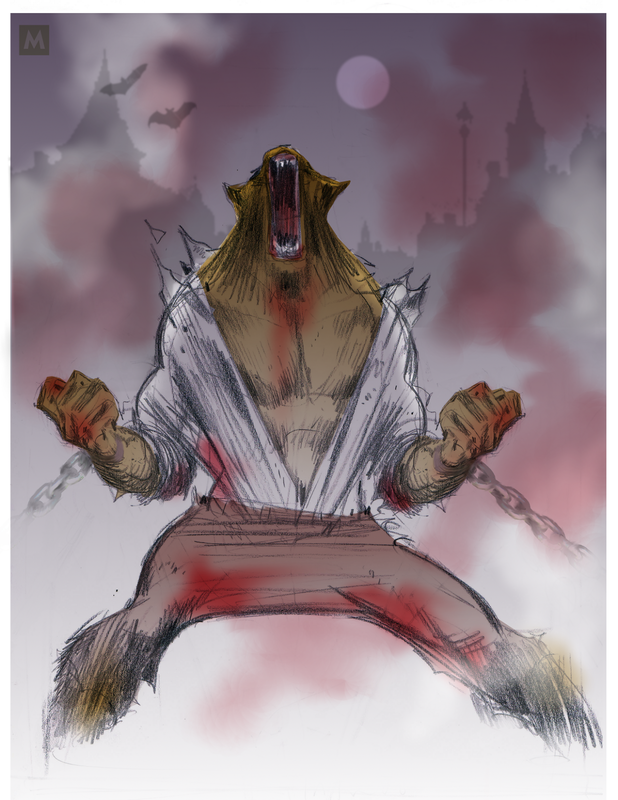 Eventually, feeling restricted by the fact that a werewolf can appear for only three nights out of each month, a subsequent artist/writer team made changes to Jack’s character. They put him in full control of the Werewolf, giving him the abilities to think, make moral choices, speak and transform at will. They were about to make him Marvel’s first ‘Lycan Super-Hero’. Unfortunately, the series was canceled with the 43rd issue. Werewolf by Night first appeared in Marvel Spotlight no. 2, in February, 1972. A film version of Werewolf by Night is currently in pre-production. The series' most popular supporting character, Moon Knight, went on to star in his own successful title. I have added Werewolf by Night to my deviantART Gallery.